Comes with a 40 use warranty. 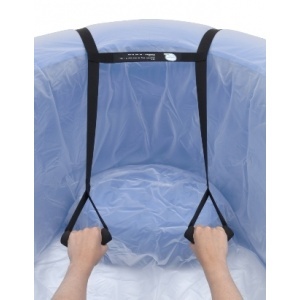 Ideal for small spaces and hot water systems. Adjustable height, with handles, cup holder, white floor and seat. Comes with handles, a seat, a cup holder, white floor and adjustable height. 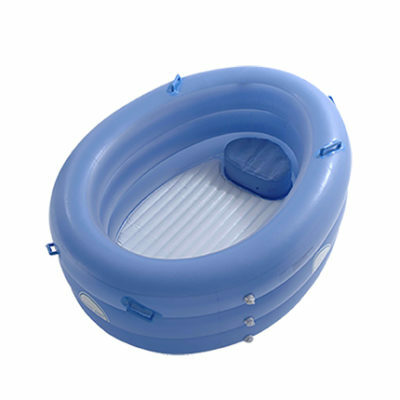 Holding 40% less, this pool is faster to set up, fill up and is easier on the hot water system. 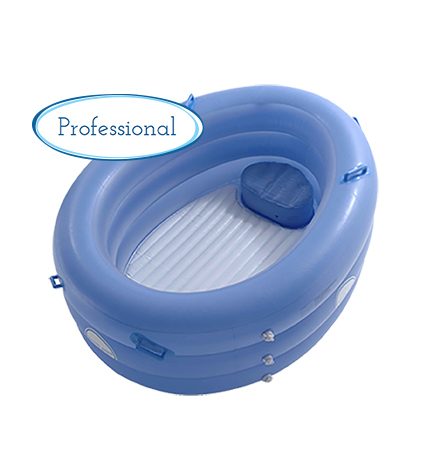 Our PIAB Mini Professional pools are such high quality that they are covered by a 40 use warranty for manufacturing defects. 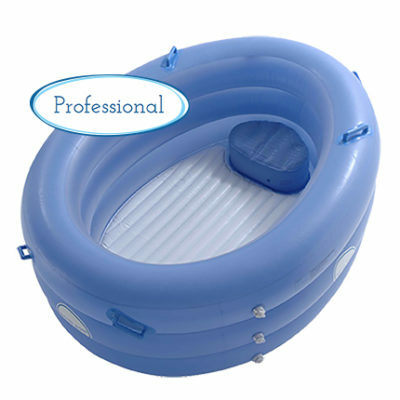 Still deep enough for relieving submersion and pain relief with an internal depth of 66cm, with 3 Independent chambers for extra security and versatility of height. Top handles for added comfort. Strong enough for a 95 kg person to sit on the sides. Every pool is factory tested before it leaves the factory. It’s the perfect pool for one. If you partner would like to join you, we recommend the regular size.